Happy Thursday! 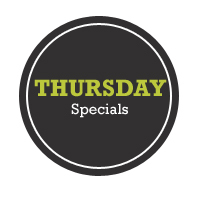 Check out these Thursday Happy Hour specials. 6:00 PM – 2:00 AM – $1 Domestics at Casey Moran’s when the Cubs are out of town! Domestics include Miller Lite, Bud, Bud light, Coors Light, etc.